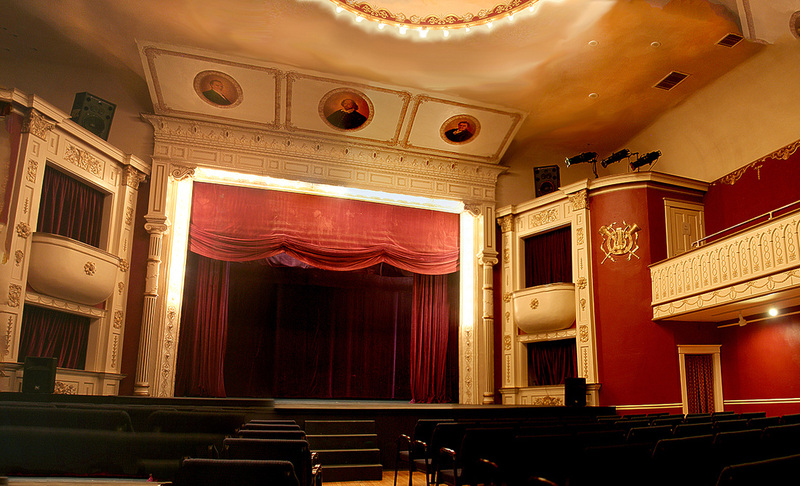 The Opera House provides community theatre, live concerts, and theatre rentals for fundraising events, weddings, etc. Each year The Matthews puts on at least six performance events, from concerts, to plays, to acts ranging from magic to ventriloquism. These are part of our SUBSCRIPTION SERIES in which patrons can purchase the whole season and reserved seating for each of the performances. The Matthews Opera House theatre is home to plays put on by our very active community theatre group or by outside groups. In January, the theatre plays host to our Foreign Film Festival. The theatre seats just over 280 seats, all with great views. The Matthews has a children’s theatre called the Peanut Butter & Jelly Players. Traditionally, this group provides a summer theatre camp to children of the area for a month, culminating in a 3-day production of a play. Children learn the art of performing, backstage tasks, blocking, set building…the whole package! Learn more. Every second Wednesday in our Fireplace Room, our Bellman Brown Bag Series takes place, free and open to the public from noon until 1:00 p.m. The Bellman Brown Bag series is a humanities program designed to explore ideas, history, literature, art and culture. The Brown Bag program was developed by Dr. Stewart Bellman in the 1990’s. Recognizing the Matthews Opera House as an ideal venue for the exploration of humanities topics, he engaged a line-up of speakers to present programs on a range of humanities topics each month. Dr. Bellman was a professor of English at Black Hills State University, Spearfish, SD. His teaching career spanned thirty years. Bellman retired from BHSU and passed away in November 2002.